If you became interested in Sherry sometime before the past few years, you might have learned some things that perhaps are not entirely true. One of them is the idea that Fino and Manzanilla Sherry doesn't last and should be consumed while young and fresh. This is probably because a lot of the Sherry that we buy at restaurants and retail stores hasn't necessarily been shipped or stored properly. In recent years Equipo Navazos, the group that seeks out and bottles a series of very special Sherries, has helped to spur interest in drinking Sherry among a new generation of wine lovers. One of the many things that makes Equipo Navazos Sherries so special is that the wines can be aged in bottle. Its founders, Jesús Barquín and Eduardo Ojeda, recommend that their biologically aged wines, the ones that are aged under flor, be cellared for a few years in order to reach their full potential of complexity and harmony. This actually might be true of many Fino and Manzanillas. In fact, Peter Liem, who along with Jesús Barquín is writing a much-anticipated book that will modernize and expand our understanding of Sherry, says that one of his wine dreams in life is to drink a 50 year old Fino Sherry. This obviously will be difficult to do - most of the wines are consumed very young. Peter relates a story in which he was with Eduardo Ojeda at a tapas place in Xerez. 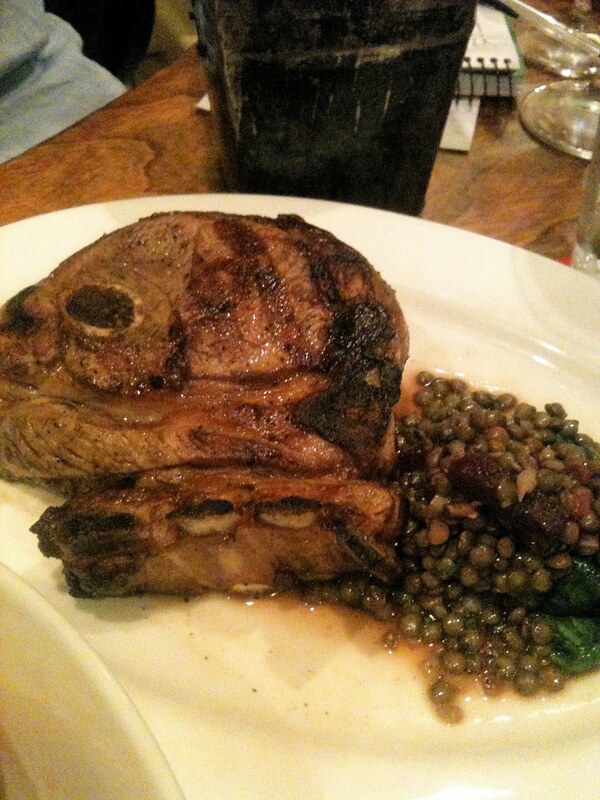 They were looking through the menu and saw Valdespino Inocente, one of their favorite Finos in all of Sherry. They asked for the wine and the bartender, trying to be helpful, warned them off the wine, explaining that there was only one bottle left and it had been sitting in the cooler for years. Eduardo tried to be nonchalant as he asked for the wine, saying that he didn't mind the age. 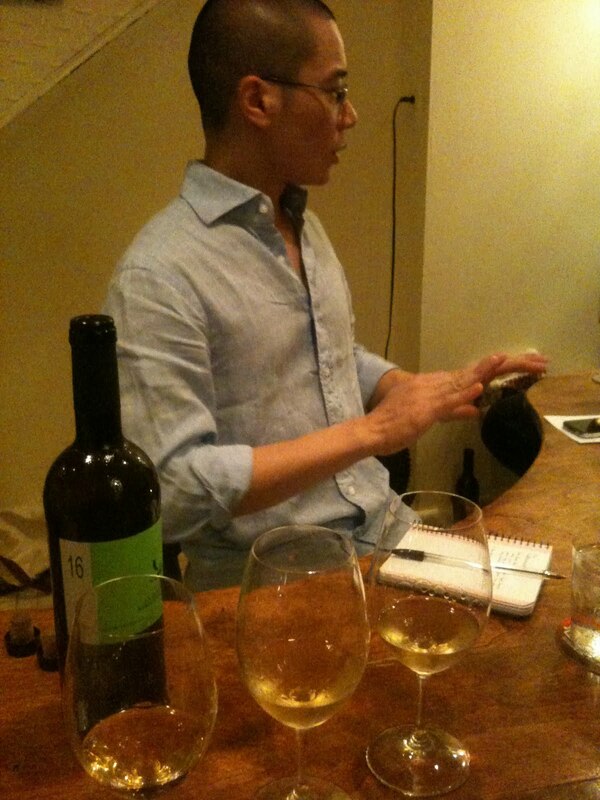 Peter said that the wine was absolutely fabulous. He likes to cellar Inocente for at least a year, he says. Peter has been collecting Equipo Navazos wines since the beginning and has had plenty of aged bottles. I, however, have not. 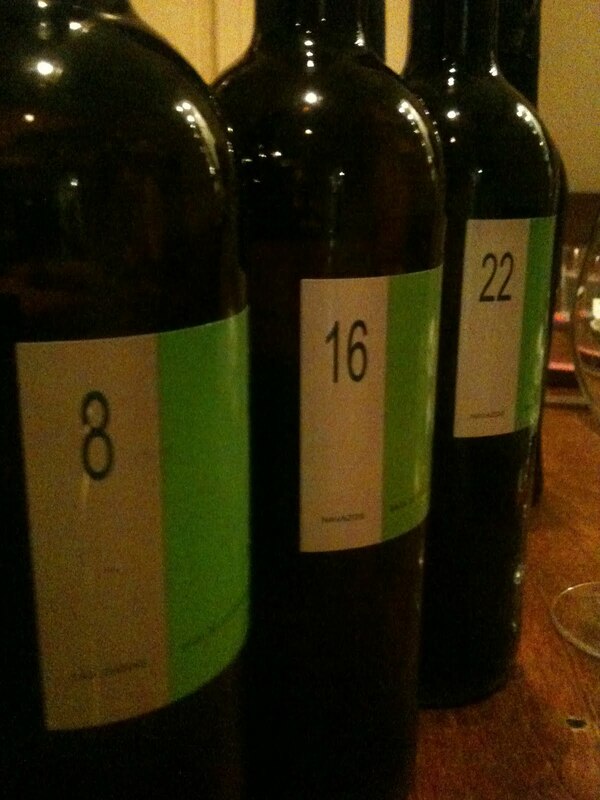 When Peter arrived one night with a bottle of Equipo Navazos La Bota de Manzanilla Nº 8, we had an idea. What if we drank La Bota wine from the same solera in the same bodega at different stages of bottle age? We had Nº 8 in our hands, now we needed Nº 16 and Nº 22. These are different releases from a very fine solera at Sánchez Ayala, a small bodega in Sanlúcar de Barrameda. We could compare Nº 22 which was bottled in mid-2010 to Nº 16, bottled in January of '09 to Nº 8, bottled in October of 2007. There is an interesting brain-warp in there somewhere. We could never do this with vintage wine! 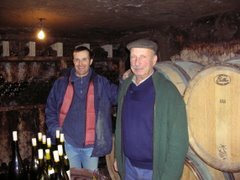 I can drink 3 different bottles of 2008 Chevillon Les Saint Georges (and I hope that I am so lucky), and drink them at different ages, but if I'm drinking them at different ages I can never drink them at the same time. 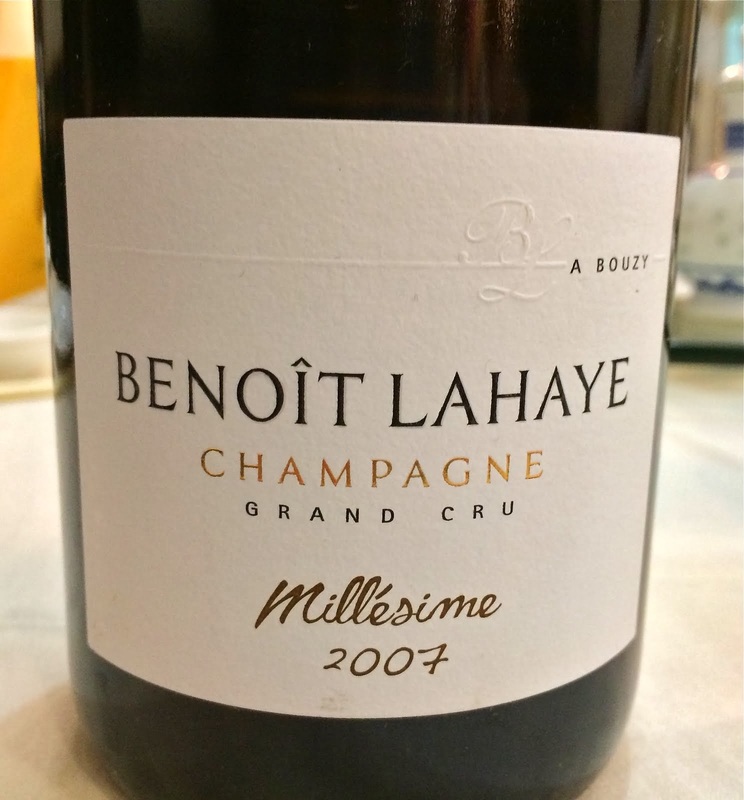 If I want to track the effect of bottle age on 2008 Les Saint Georges, I would have to take careful notes and refer to my previous experiences when I open the next bottle, years down the road. With these Sherries, we are able compare bottles of essentially the same wine at different ages, at the same time. That, is pretty cool. Anyway...as we were planning this, Peter thought of another great idea. What if we also drink Equipo Navazos Nº 9 and Nº 23 - Amontillados that began life as Manzanilla Sherry in that very same Sánchez Ayala solera? We would then be experiencing what Peter calls the Flor-Amontillado continuum, drinking a wine aged under flor and then as an Amontillado, and in both cases, drinking younger and older versions of those wines. How exciting is that? 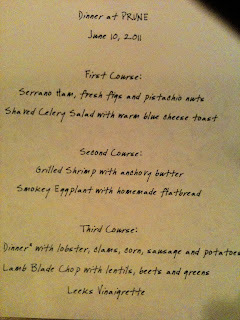 We gathered a few friends and met at the absolutely wonderful Prune to share these wines over dinner. It was fascinating, I must say. First of all, the wines were fantastic - truly great. The wines grew and changed with air and there were many different opinions expressed about which bottles were showing best. And this makes sense, because everyone has their own particular fancy regarding the age at which a wine should be drunk. I loved Nº 22 for its sheer vivacity, its pure deliciousness, it's lovely combination of power and delicacy. And then comparing it to Nº 16 (a wine that I didn't love when I drank it over a year ago), it was possible to see that Nº 22 is actually not as open and expressive as Nº 16 is today. 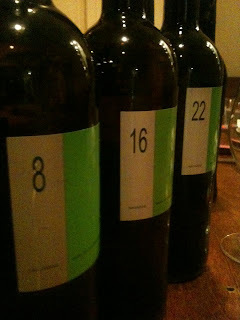 Nº 16 was the Manzanilla that most people felt was in the best place for drinking, and I loved it too. But I must say, it was Nº 8 that took my breath away. The nose was entirely different from the other two wines, showing a preserved lemon aspect, curry powder, and hints of tropical fruit. It was entirely graceful and elegant, and I thought it was just beautiful. Some people felt that the palate was not as expressive, that the promise of the nose didn't quite carry through. That is probably so, but I found the nose so enthralling that if forced to drink only one of those wines again this year, I would choose Nº 8. And by the way, one of the very best wine and food pairings of my life was these three Manzanillas with Prune's grilled shrimp with anchovy butter. Bliss. Things were not quite as scientific with the Amontillados, because although they do come from the same solera, Nº 23 is a "Bota NO", a wine from one very special barrel within the solera. The cellar master might discover a barrel that shows a particularly special character and write "NO" on the barrel, meaning "do not blend this one." So, Nº 9 probably has wine from the barrel that Nº 23 came from, but the reverse is not true - Nº 23 comes from only one barrel in the solera. Nº 9 was regal with dark and burnished aromas and flavors, smooth and classy, very harmonious. It is a wine that seemed to me like it was in a perfect place for drinking. 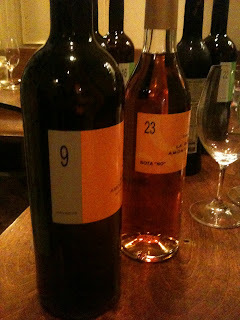 Nº 23 was more intense, a bit more muscular, and definitely felt more dense on the palate than Nº 9. I'm not sure if this is about bottle age or about the fact that they are different wines. In either case, it was a compelling Sherry, its hints at fig-like fruit encased in layers of pungent flavors, like walnuts, coffee, and even caramel. And I am convinced that Amontillado Sherry is a great match for robust meat dishes, like the hunk of a lamb blade chop at Prune. This was a great experience, an evening of good friends and real learning about wine. And I am committed now to putting away a few bottles of Fino and Manzanilla. silly question : do you store the sherry lying down or standing up? i have bought a few from Chris at CSW. hi Mark - i store mine laying down, but i don;t really know what i'm doing. ask Chris, I would say. A friend of mine just bought three bottles of Valdespino Inocente for me from the local distributor in Portland, Oregon. It turns out that they were bottled at the end of 2008 — needless to say, I'm thrilled about that. It does raise the question, though: where have these bottles been since that time, and how have they been stored? I'm lucky to live very close to Jerez and am becoming more and more obsessed by Sherry. Your article here is just brilliant. I loved it. Thank you. 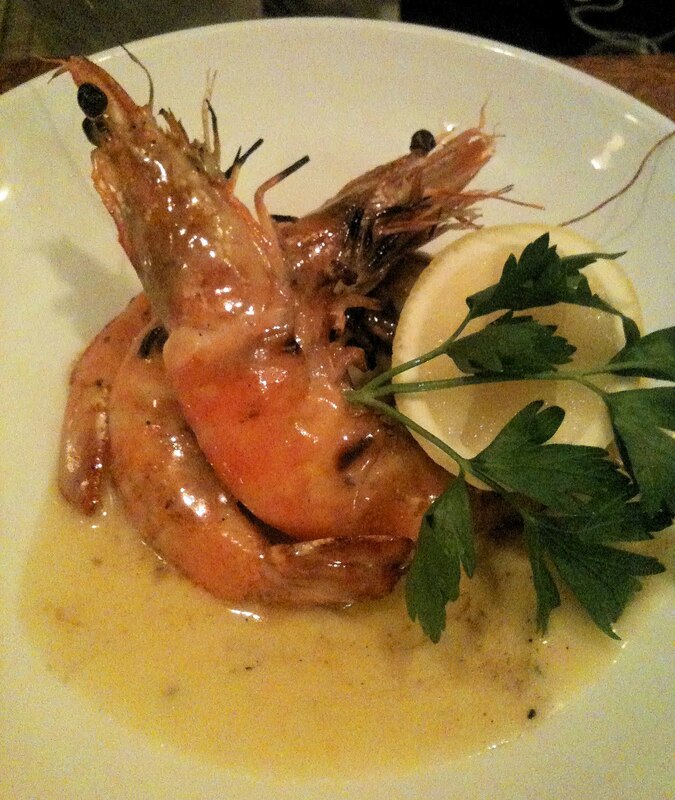 Any chance of the recipe for the Gambas con Anchoas? This is a very interesting article. I've always wondered why sherry shouldn't be bottle aged. 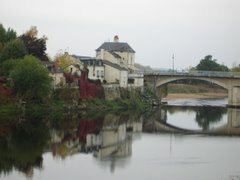 After my grandfather died we found a bottle of Williams & Humbert Dry Sack in his cellar. It was at least 20 years old. It tasted really good - very mellow and nutty.